Alexandr was born in 1988 in Falesti. 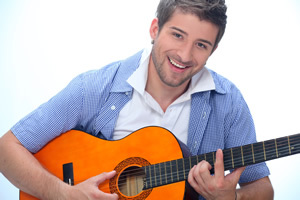 He started singing as a child taking part in several song contests. His passion for theatre leaded him to become an actor in Maloi scenyi children’s theatre but after he devoted himself to music. When he was 17 years old he started his education on jazz singing with Ivan Akulov. In 2007 Alexandr won his first award – the New Faces Festival Grand Prix and took part in Fabrica de staruri 7 Concert in Moscow. His song Nu as putea was a big hit in Moldova. Now he is working on his second album. Festivals: Canzoni dal Mondo, Italy (the National Italian radio and tv award). Amanda was born in 1991 in Malaysia. She has always been fascinated by music ever since she was young. She has been taking piano, guitar, ballet, modern & jazz dances lessons. She has been studying Psychology & Communications at Upper Iowa University in USA. She practices Taekwondo. Among her hobbies are horseback riding and swimming. Amanda performs all over the country. Her debut album Amanda Imani realized in 2009 and the English album Yeah were a big success. Nominations: Anugerah Industri Muzik 2010 (Best local English album); VIMA 2010 (Best female vocalist and Best pop vocalist); ABPBH 2010 (Best new female artist and Best female performer/singer). Awards: Voice Independent Music Awards (VIMA); SEA 2010 (Best pop song bronze). Barabara Dubinova was born in 1991 in Slovakia. 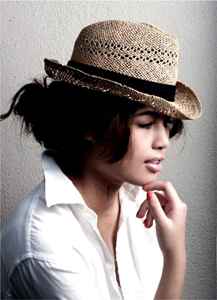 Ever since her childhood she has been interested in music – singing, piano, guitar. She takes lessons in vocal art under the guidance of the best singing vocal coaches in Slovakia. Her first musical success was in 2006 – first place in a regional singing contest of popular music “My Popstar”. After this there were a lot of participations and awards. She has an album – “I know who I am” and the single “Vino nie je caj“ and the music video were in the Top 10 of radio and TV charts. The singer says for herself that she knows what she wants and she is going for her dreams and this is the first step towards getting them. Festivals and contests: “My Popstar”, 2006, „Zlata crievicka”, 2007, „Kosicky zlaty poklad”, 2009, etc. 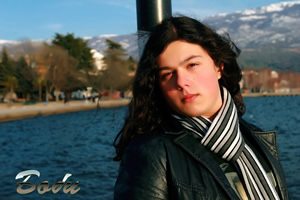 He is among the youngest talented pop singers in Macedonia. His professional career started four years ago. Boby appeared for the first time on stage two years ago. He’s recorded three singles. He presented the third one at the Skopjefest 2011 (when Macedonia chose its entry for the Eurovision Song Contest) and won the 7th place. Participations and awards: MK Talent Show (second place); Kaneo Fest 2010 (first award of the public and Grand Prix); Ohridski Trubaduri Festival 2010 (second award of the public and 7th place). Buket Bengisu was born in Istanbul in 1978. Coming from a family of well-known musicians she started her musical career very young taking lessons in piano, guitar and singing. She graduated from Istanbul Conservatory of Chorus Singing and she entered the musicals section in the same conservatory taking lessons in singing, stage performance and acting. In 2002 she represented Turkey in Eurovision International Song Contest in Estonia. After her success she gave many concerts in different festivals in Turkey and abroad. 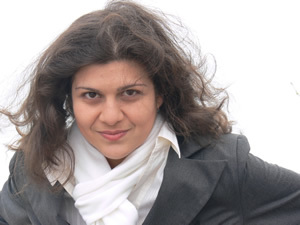 Currently she is the soloist of the famous Latin and Jazz orchestras in Istanbul working with famous Turkish musicians. In 2003/2004 she was the presenter of the culture and arts show program in Expo Channel Tv. Festivals: Florentin Delmar Festival 2010 (Special prize of the Jury); Amara Festival 2010 (Special prize of the press); Dan Spataru Festival 2010 (Second prize for Best voice). L.A.V. is a singer and songwriter duet formed in Moscow in 2005. After meeting over the internet on a search to expand their musical influences, they became the best of friends. The duet made their recording debut with the song Several Seconds, which was performed for the first time in 2007 at the Discovery International Pop Music Festival in Bulgaria, grabbing second place. They are currently involved in recording their first album and music video in English. They are also preparing their first festival and mini-tour of the Eastern USA in 2012. Festivals: Canzoni Dal Mondo International Pop Music Festival 2007, Italy (first place for Best song and second place for Best performance); Europop International Festival 2008, Bosnia & Hercegovina (second place); Golden Stag Festival 2008, Romania; Golden Voices International Pop Music Festival 2009, Moldova (third place). Egiazar was born in 1988 in Armenia. He studies singing at the Belarusian State University of Culture and Arts. He is a leading singer of the Presidential Orchestra of Belarus and he is a Laureate of the Presidential Fund for supporting young talented people. Egiazar took part in the Eurovision International Song Contest 2010 as a participant of the band "3+2". He is a Laureate of several international song contests such as The Kind Stork 2009, Rostov-on-Don, Russia; The Land Under White Wings 2007, Mozyr, Belarus etc. He is the winner of the New Voices of Belarus National Television contest. Yulia was born in 1989 in Petrikov, but she grew up and studied in Grodno region where she finished Grodno Music and Arts College (Choral Conducting). In 2009 Yuliya reached the final stage in the New Voices of Belarus National Television Contest and consequently became a leading singer of the Presidential Orchestra of Belarus. As a participant of the band "3+2" she became the finalist of the Eurovision International Song Contest 2010. Yulia is a laureate of several international and national contests such as Constellation of Hopes, Golden Bee, Young Talents of Grodno etc. Eliz Nigohozova was born in 1984 in Varna, Bulgaria. She started singing when she was 6 years old in a children`s choir. After entered the French language school, she started performing French songs. Eliz participated in the 6th Francophone School Theatre Festival performing some poems. In 2001 she won a TV competition for young singers organized by a Shumen Regional Television. Eliz is a prize-winner of the National Music Festival in Varna. She began singing professionally Pop and Jazz when she entered at the Sudio Yes Music School in Varna. Eliz participated in many festivals and in some radio shows. Ilario was born in 1986 in Terracina. He started playing the guitar at the age of 13, two years later he discovered his passion for the piano and singing. With his band VST he participated in some festivals which took place in Modena and in Milan. He moved to Rome where he works as a composer and arrangement maker for a recording studio and takes piano and singing lessons with Antonello Crescenzi. He is preparing his first solo album. Festivals and contests: Ciampino 2009 (first place); Jam Session Contest 2009, Marino (first place); Funny Festival 2010, Campagnano (second place); Una voce da pontinia 2010 (Best interpretation award). Joce was born in 1982 in Stip. He has studied at the University of Skopje, Faculty of Music. In 2009 his song “Koi da ti kaje Ivana” became a big hit in Macedonia and Serbia. 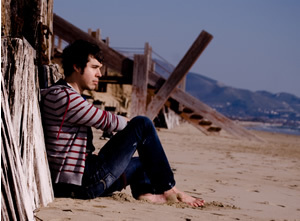 In January 2011, he released his debut solo album. He is working on his second studio album including some duet songs with Serbian and Slovenian singers. It will be distributed in Macedonia, Serbia, Croatia, Montenegro, Bosnia and Herzegovina and Slovenia. After the Discovery Festival, Joce will perform in Macedonia, Bosnia and Herzegovina, Montenegro and Croatia. Festivals: Kaneo Fest 2004, Ohrid; Makfest 2006, 2007, 2008, Stip; Ohrid Fest 2008, Ohrid; Pjesma Mediterana Festival 2009, Montenegro (Best debut award); Golden Voices Festival 2010, Moldova (Best singer award); Pjesma Mediterana Festival 2010 (third place); Slavonic Bazaar 2010, Belarus (third place); „EuroFest 2010, Macedonia (Grand Prix). 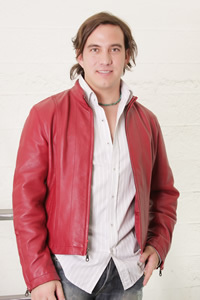 Singer and song writer Jorge Peart was born in 1981 in Torreon City. Now he lives in Mexico City. His first contact with the music was at the age of 10 when he started playing the guitar. At 15, he started playing in bars. His favorite music style is the Latino pop. With almost 10 years of career, he has had the opportunity of participating in national and international festivals and perform in theatres, public squares and cultural stages around Mexico. He shared the stage with famous Mexican musicians such as Amaury Perez, Calos Diaz “Caito”, Alejandro Filio, Fernando Delgadillo, Alejandro Garcia, Mexicanto, Edgar Oceransky, Alejandro Santiago, Enrique Quezada etc. Albums: La intriga de Adan (2003), Puntos Suspensivos (2006), AquaFrio (2010). 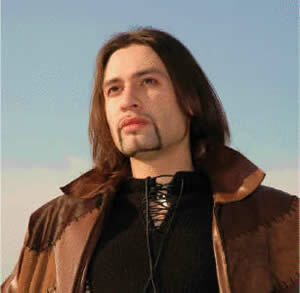 Maxim Novitskiy (born July 28, 1981) is a singer, a song-writer, a model and an actor. In 2010 Max Novitskiy entered the top 30 of the best artists of Ukraine for European Eurovision Song Contest 2011. Where he performed his top hits " Goddess of fire" and "True love can free you" in the semifinals. His songs were warmly welcomed by the audience in many countries (rotated on radio's of the USA, Germany, Switzerland, Russia and Ukraine). The video-clip on his most famous song “Welcome to my Disco” was shown on many TV-channels of Europe, America & Japan. His large repertoire consists of his own songs as well as the world-wide known hits of different countries in their languages (nine languages including Italian, English, Turkish, Japanese, Arabian, Spanish, Hebrew, Russian and Ukrainian). Rene was born in 1987 in Sofia. He has studied at the German language school and finished the Economy faculty of the St. Kliment Ohridski Sofia University. He plays the guitar and studies music in the Music Lab School. From 2002 till 2007 he was a participant of the bands Steep Point and Trio. He was among the participants at last year's concert dedicated to Europe Day, at Hope for Haiti benefit concert launched by bTV. He also reached the Bulgarian semifinal stage in the New Wave international contest of young talents. Romina Mamo was born in 1983 in Malta. In November 2005 she obtained her academic degree Bachelors of Education from The University of Malta. Currently she is teaching Mathematics, ICT and Computing. Romina started her singing career 12 years ago taking part in several concerts in Malta and abroad and singing with the rock band Beate Route. Apart from singing, Romina appeared as a presenter in several events around Malta. She was also a TV presenter and appeared on TV as an actress. Festivals and contests: L'Anziano nella societa 2003 (third place); La vela d'oro 2003 (Best interpretation award); Premio Nazionale Artemare 2003 (first place); Kanzunetta Indipenza Contest 2008 (third place); Kanzunetta Indipenza Contest 2009 (second place); Premio Nazionale Artemare 2008 (second place); Malta Hit Song Contest 2009 (The Audience award); Golden Pomegrenade International Festival 2009, Turkey; Malta International Hit Song Contest 2010 (first place); Universong Festival 2010, Canary Islands (second place).